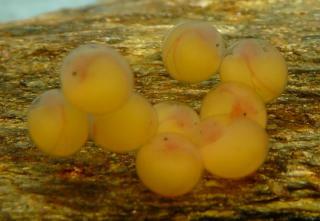 Caption: Eggs in hand. 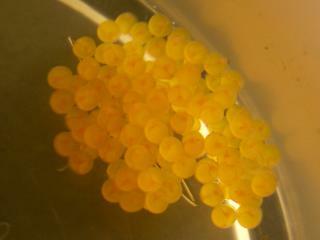 75 eggs were in this one group . 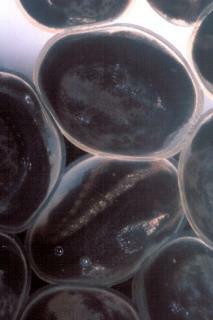 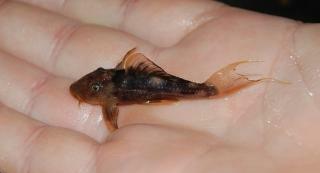 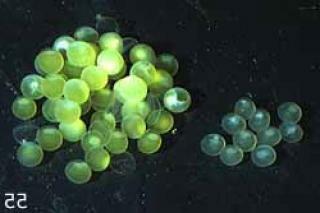 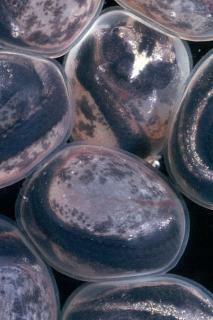 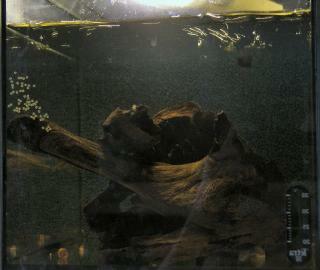 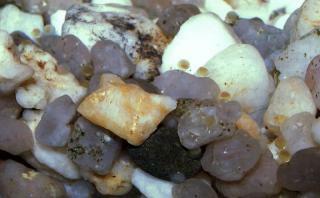 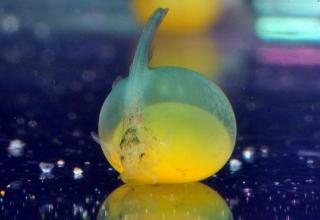 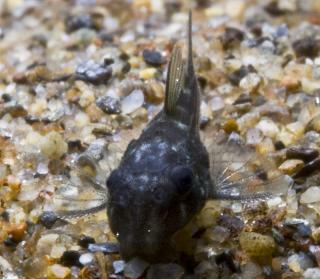 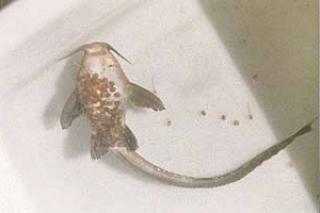 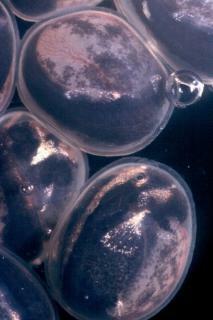 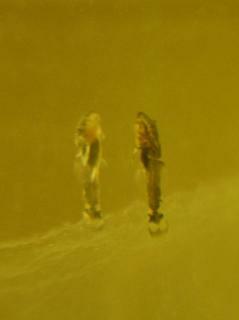 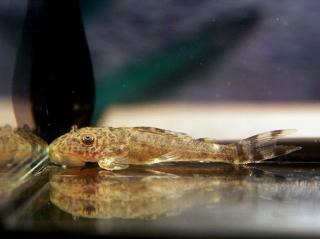 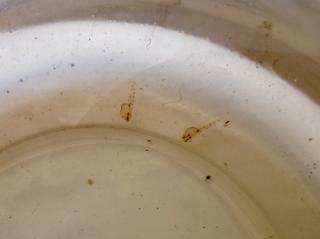 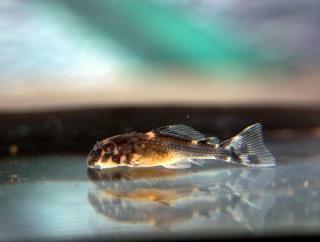 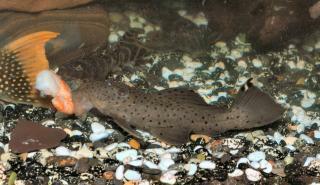 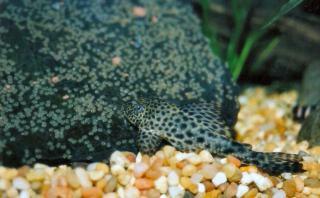 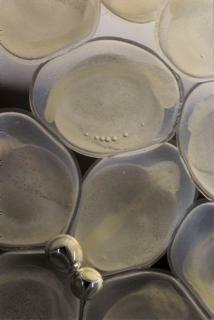 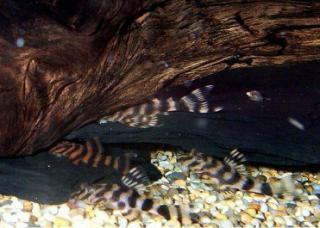 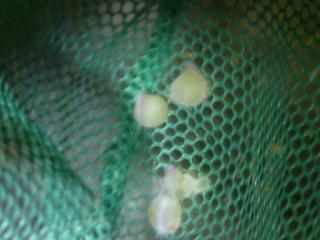 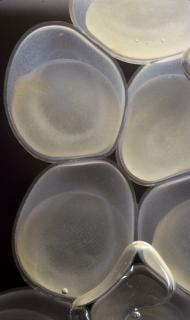 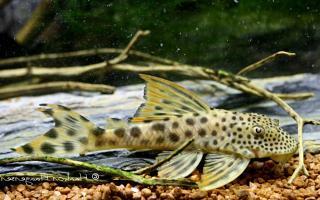 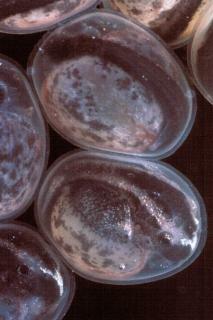 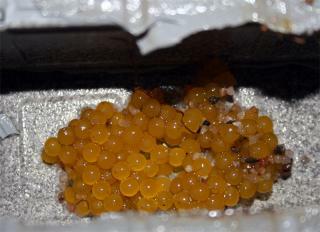 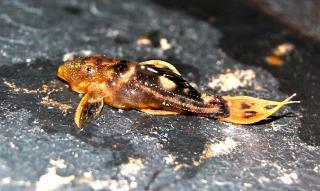 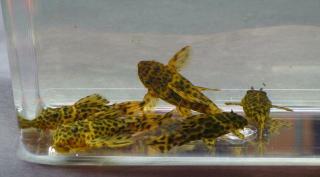 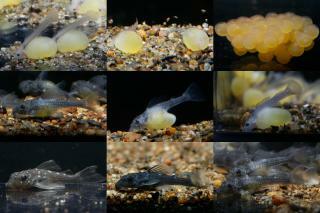 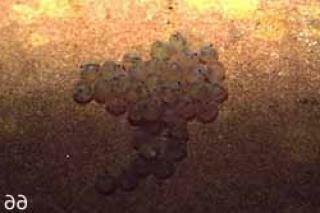 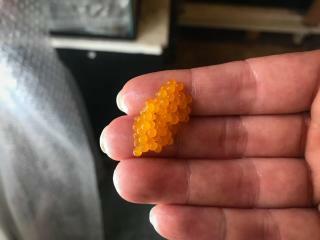 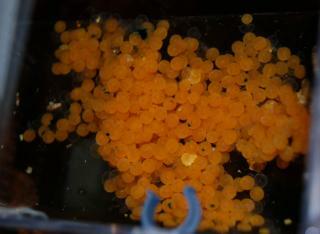 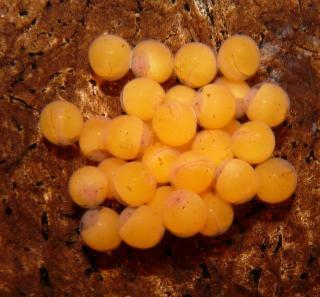 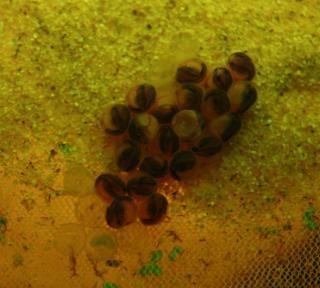 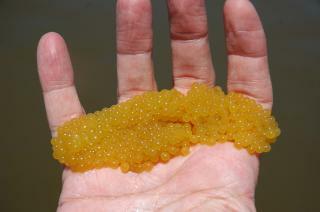 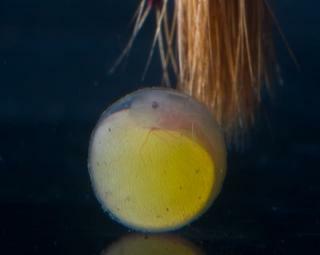 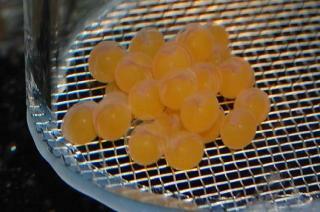 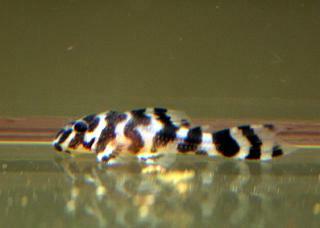 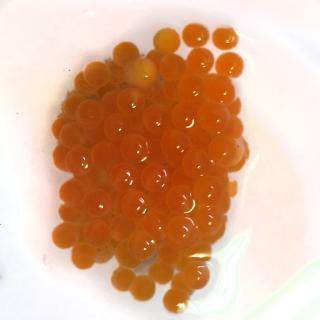 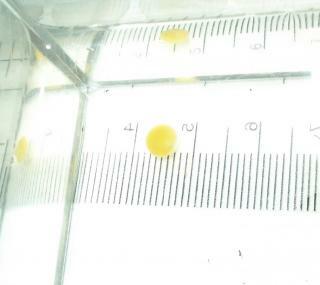 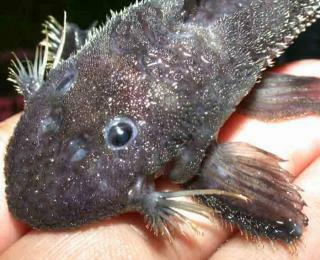 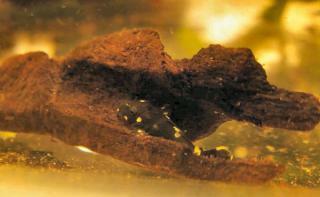 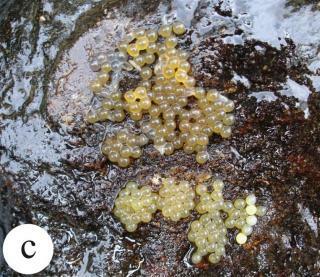 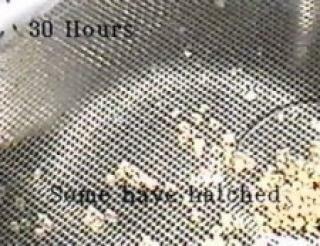 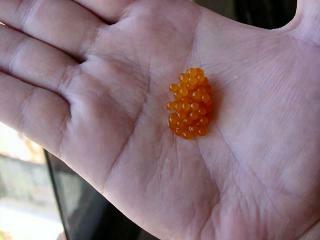 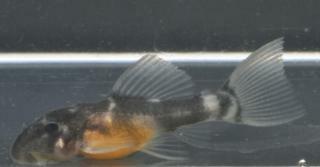 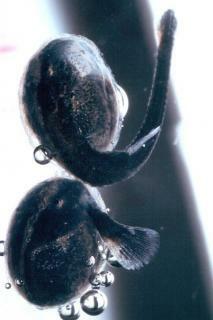 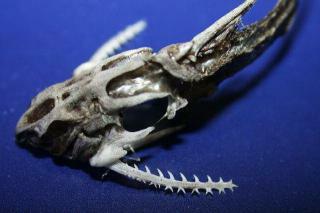 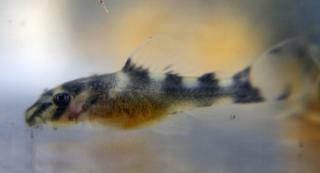 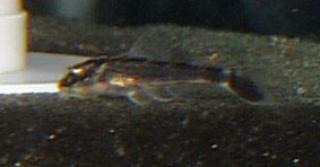 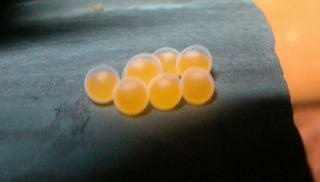 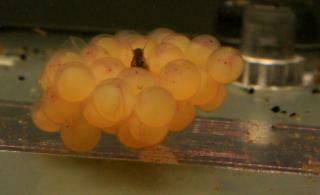 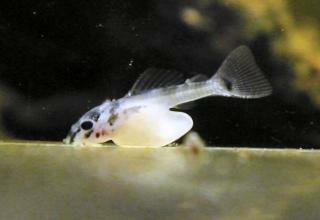 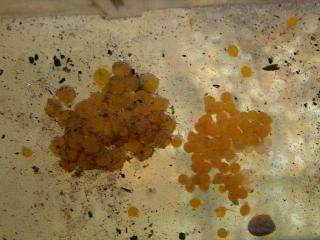 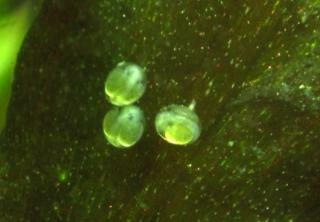 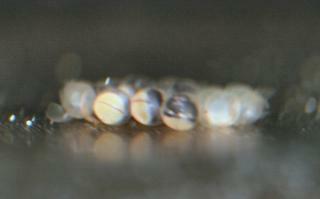 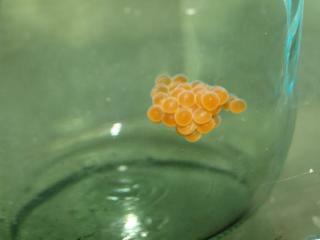 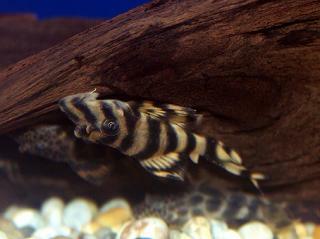 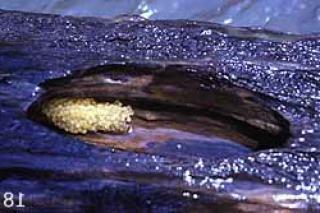 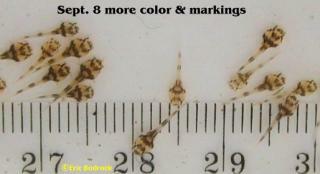 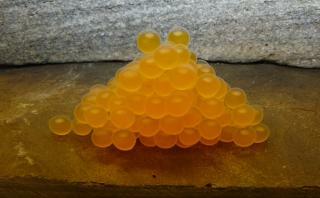 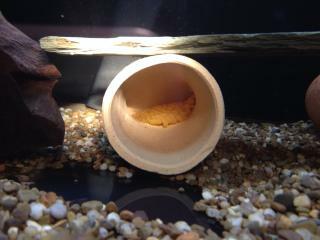 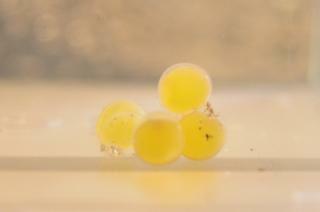 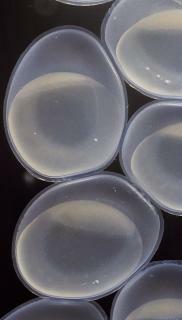 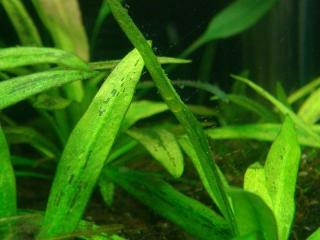 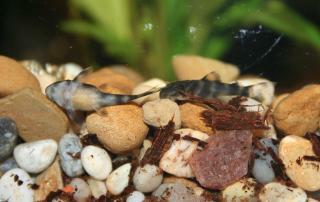 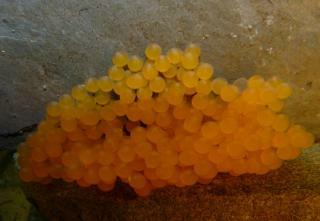 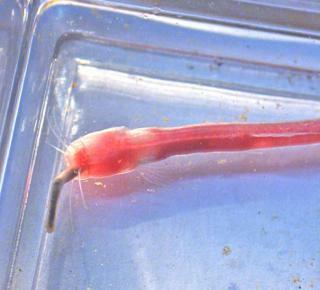 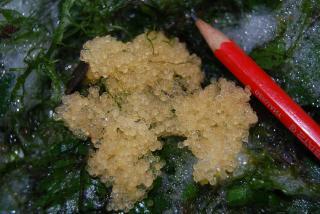 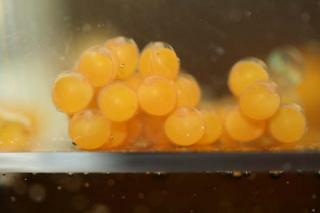 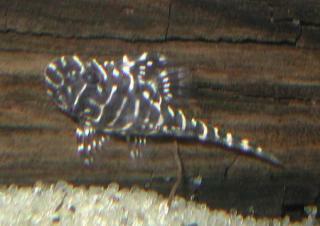 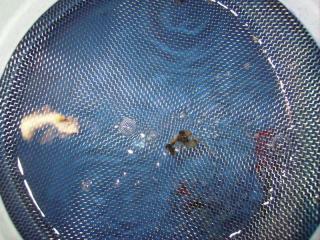 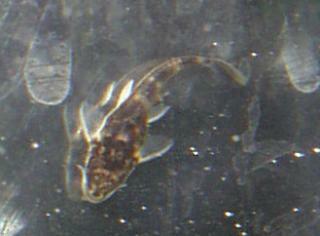 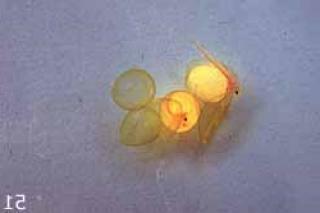 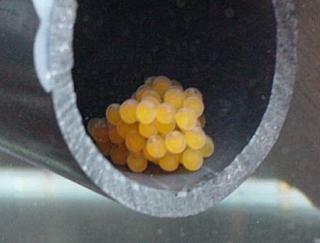 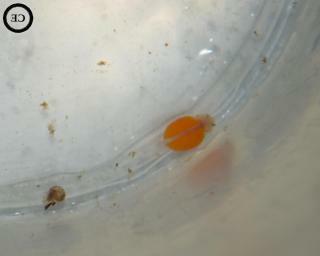 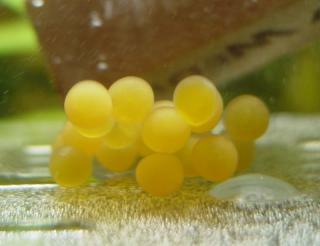 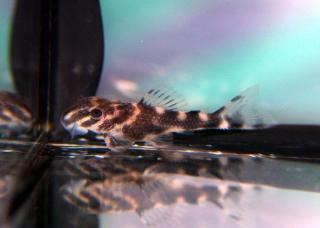 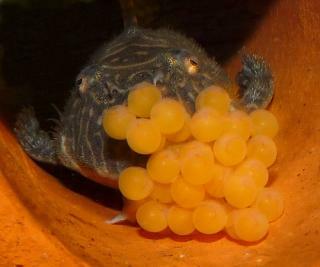 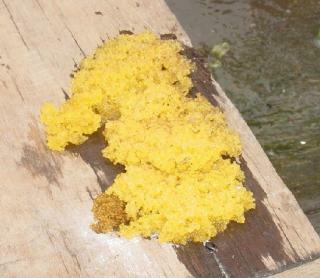 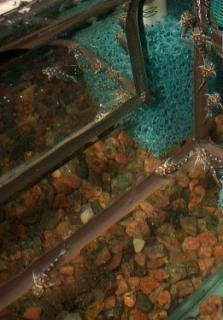 Caption: Eggs of L240, compared with eggs of Ancistrus. 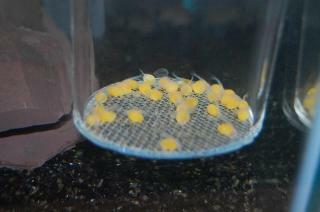 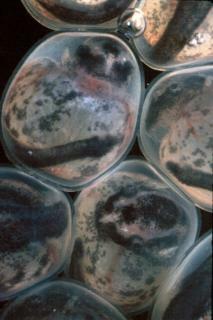 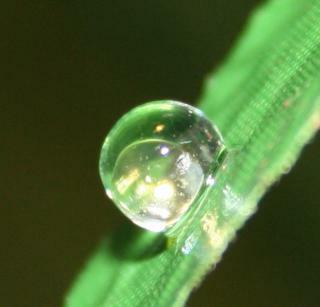 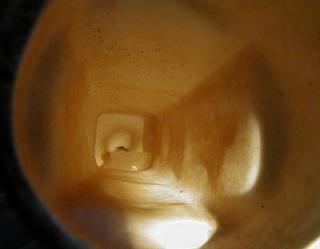 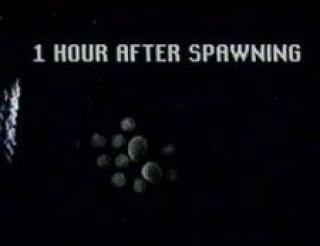 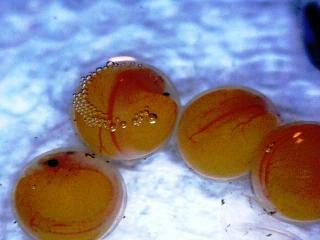 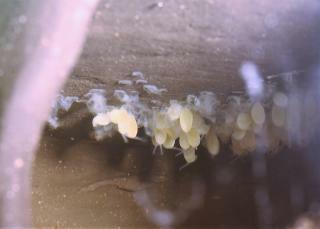 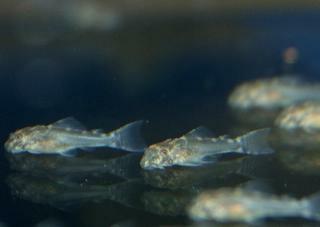 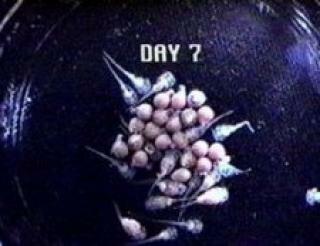 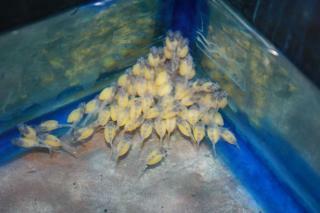 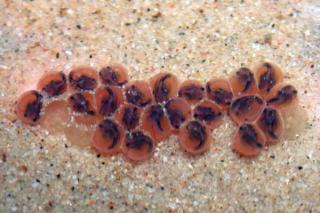 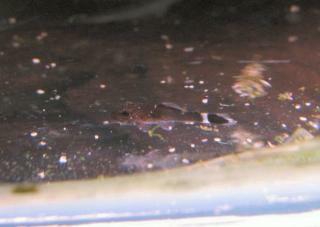 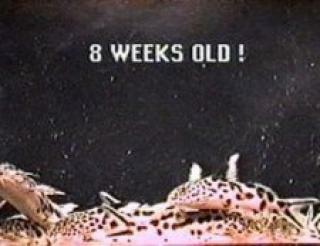 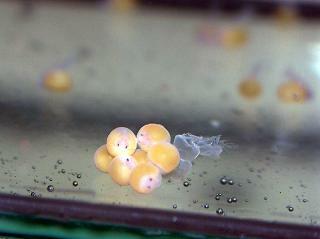 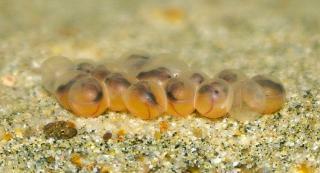 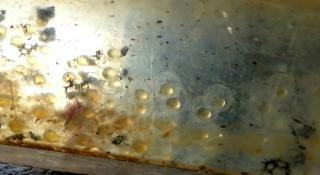 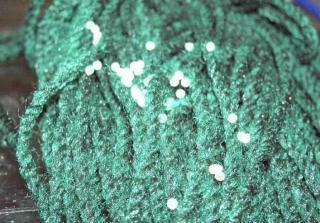 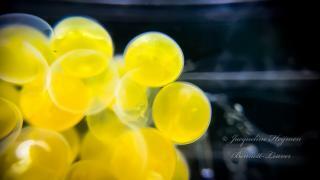 Caption: Eggs on the day before hatching. 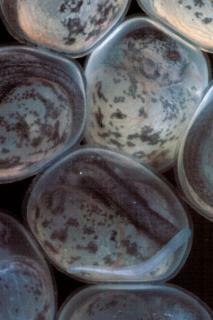 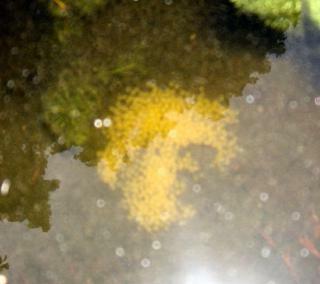 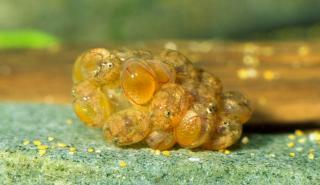 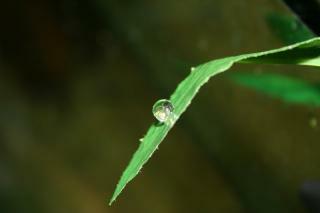 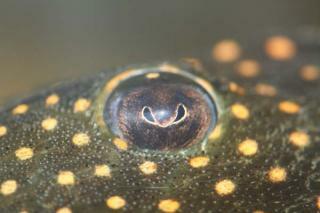 Caption: Eggs, just about to hatch! 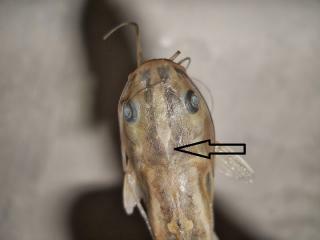 Caption: Extent of Posterior Fontanel indicated by arrow.